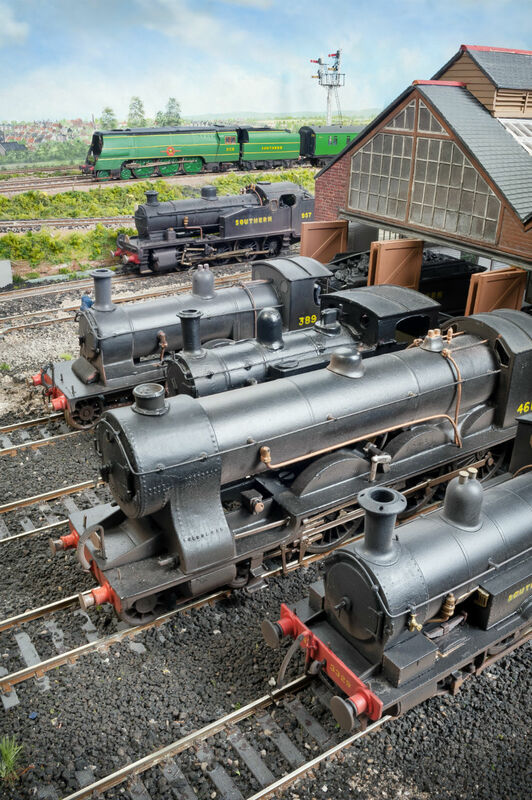 Fisherton Sarum will be making the first of its four appearance on the exhibition circuit in 2014 at the Watford Finescale Exhibition this coming weekend 15/16th February. The exhibition is being held at the Parmiters School, High Elms Lane, Watford, Hertfordshire, WD25 0UU. The opening times are 10:30 to 17:30 on the Saturday and 10:00 to 16:30 on the Sunday. Fisherton Sarum will not be the only Southern related layout at the Watford Finescale Exhibition as the line up includes BR(S) 3rd rail electric ‘Ashington’ (built originally by my friend and excellent modeller Dave Kent) and Alkham representing BR Steam in Kent. The term ‘Finescale’ is a much debated one, sometimes heatedly, in the hobby as it often is applied to gauge only such as those modelling P4, EM or S7, however in many cases, as per this exhibition, it is also applied to the modelling standard in general. Just because a layout is one particular gauge or another it does not mean the rest of the modelling can be so judged only on the distance between the rails! I am therefore pleased that Fisherton Sarum being oo gauge is so associated, and has been invited to this show. I will be as usually, and with much appreciation, being assisted by members of my family and also the High Wycombe and District Model Railway Society. If you are planning to come along to the show please say hello.